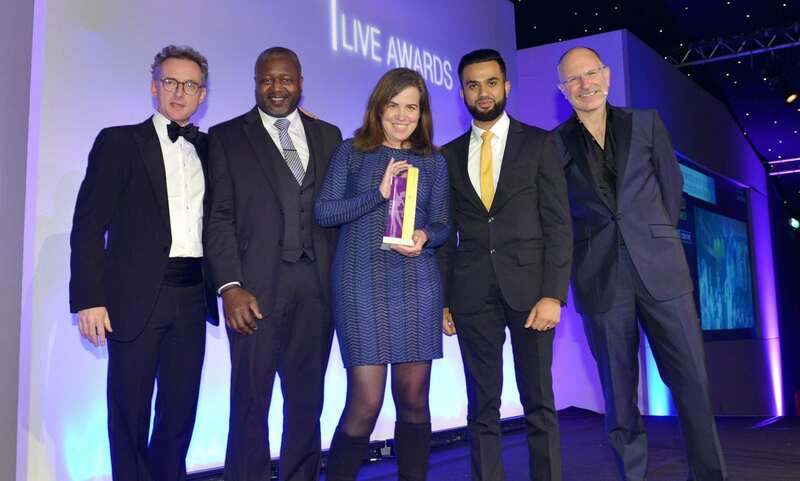 The QEII Centre has been recognised for its event organisation excellence at the EVCOM Live Awards 2016, where the centre won the Gold Award for Best Event Organised by an In-House Event/Communications Team. The QEII team found out they won the prestigious event industry award at the ceremony on Friday 18 November at Supernova London. QEII scooped the award for best event for its spectacular showcase event ‘Outside The Box’, which took place in September 2015 to celebrate the completion of the third phase of refurbishments that formed part of the centre’s £12m capital investment. The objective was to to demonstrate the expertise of the QEII’s in-house creative teams in creating an experiential event that that demonstrated the Centre’s suitability for non-traditional guests and aimed to surprise at every turn. The event demonstrated QEII’s ability to host a wider variety of events than ever before, with a three-part immersive experience including an indoor garden party, circus soiree and American-style drive through cinema. This ‘wow factor’ event was hosted in the Centre’s most impressive space, the Britten. The EVCOM Live Awards are one of the most respected marks of excellence in the live event industry, attracting entries from around the world and judged by leading industry professionals.